Well, last week didn’t really feel like it in the Pacific Northwest, what with the intermittent hail and occasional snow flurry, but spring is fighting the good fight. President’s Day weekend was the traditional time to put your peas in the ground, though in my area the soil was still a bit cold. Did you sow peas outside? Did you wait and do it this past weekend despite the cold? Does anyone have fava’s in the ground? 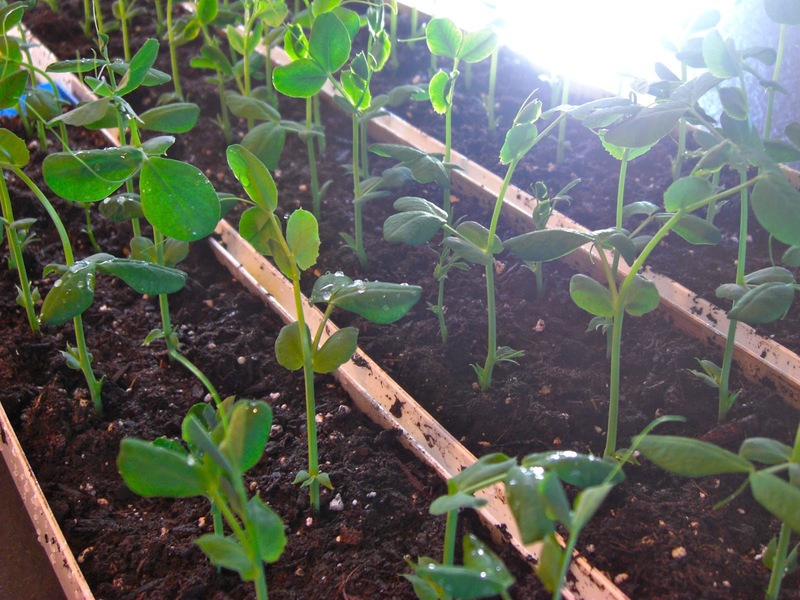 I’ve got gorgeous pea shoots about 5 inches tall from my experiment of sowing the peas indoors in a length of gutter. I’m planning a whole post about this experiment, but I want to make sure I can get these babies safely in the ground before I endorse the technique. But my pea shoots sure make me look ahead to late spring and early summer, when we’ll be harvesting the sweet, crunchy fruit (ok, vegetables) of our late winter labor. I started my first garden just after my daughter turned one. I watched, delighted, as she grabbed and crunched away at sugar snap peas and realized that if kids can grow it, they will eat it. Harvesting, snacking, sharing, planting, learning, growing. So much of a garden is appreciated by children, if they just have the chance to be there at the right time. I’m looking forward to just-picked peas, and to the longer days with my family. I’m looking forward to watching my little boy, now not yet able to sit up reliably, pull himself along the sides of the raised beds. I’m looking forward to my daughter showing him the worms and the cherry tomatoes that are her favorites. I’m looking forward to that moment that happens in about the third week in August when, for just a second, there is nothing to do but overlook the garden, all filled-in and verdant, and try to decide what you might want to pick for dinner. It’s the last day of February. Spring is just around the corner. What are you looking forward to? Previous Post: « Turn Your Old Wire Hangers Into Garden Staples! My daughters LOVE fresh snap peas! In fact, my youngest daughter couldn't be kept away from them the first summer she was walking. Alas, I think I'm the only one that like snap peas, but I grow them every year. And nothing's in my garden but last fall's carrots that I overwintered. Nothing's going in there until it warms up a tad, even under a hoop cover. And I've got greens ready to harvest under my light system. Warm up already! 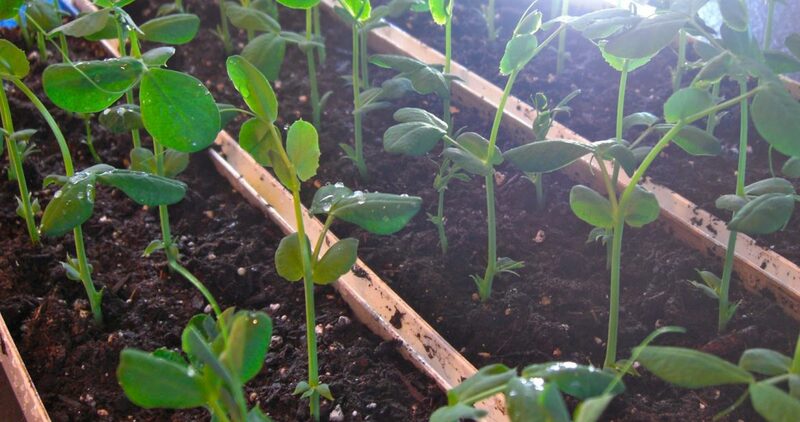 How did the peas-in-a-gutter work out? Waiting for an update!